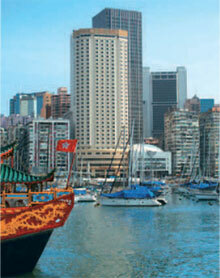 The 14th International Kongre of the GRCA was held on 14th-16th November 2005 in Hong Kong. Copies of all the dokümanlari presented at the 2005 Kongre are available to download by clicking on the Paper title in the list below. Achieving aesthetics and durability in GRC - Some useful tips. The demoulding process of decorative GRC elements free of breakage by PUR Rubber moulds. Sprayed premix - the new GRC. Strength retention of alkali resistant glass fibres in alkali exposure. Properties of GRC using recycled material. The new development of manufacture and application of sulphate-aluminate cement in China. Statistical properties of strength of glass filaments and textile reinforced concrete. Radio frequency identification for the GRC industry. The practical design of GRC in Hong Kong. 25 years of Forton polymer modified GRC: Reasons for its use. Bridge cornice with GRC lost formwork. R. Safar. Faculty of Civil Engineering, Czech University of Prague, Czech Republic. The development of highly functional GRC. GRC as an alternative material for low-cost, high durability fishing boats. GRC poles made by the filament winding process - Performance, industrial production and market opportunity. Fibrobeton catches the speed of Formula 1. 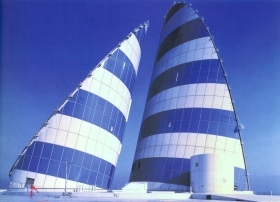 GRC façade panels in Brazil. Use of GRC on the Cotai Venetian project. 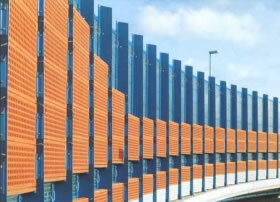 GRC application in architectural buildings. Duarability – A problem or not a problem? Promoting & Protecting the GRC industry.